Flex-table Formwork System for Slab is the easiest and most flexible slab formwork system for all types of slabs consisting of tubular steel props. Tripod, Four -way Head, H20 Timber Beams and Plywood Sheets. The System can be used for a clear height up to 5.90m. We have emerged as one of the most profound manufacturers of normal and Heavy Duty Props. Basically seen at construction sites, all these Scaffolding & Props are widely used for supporting buildings and large structures. Fabricated from best quality steel, our stock of props is highly durable in terms of proficiency. With Light and Heavy Duty Props, one can reduce the cost incurred as these props are reusable to support formwork shuttering. Flex is a slab formwork which is not restricted by modular dimensions and therefore doesn’t dictate to any rules of a modular system. Due to the versatility of the Flex system, all geometric constructions can be realized easily and without difficulties. Maximum variability and adaptability makes the Flex profitable. You are working demand oriented and are saving material, efforts and costs. Solidity of the construction, stability and robustness, as well as versatility and easy assembly characterize the flex system. 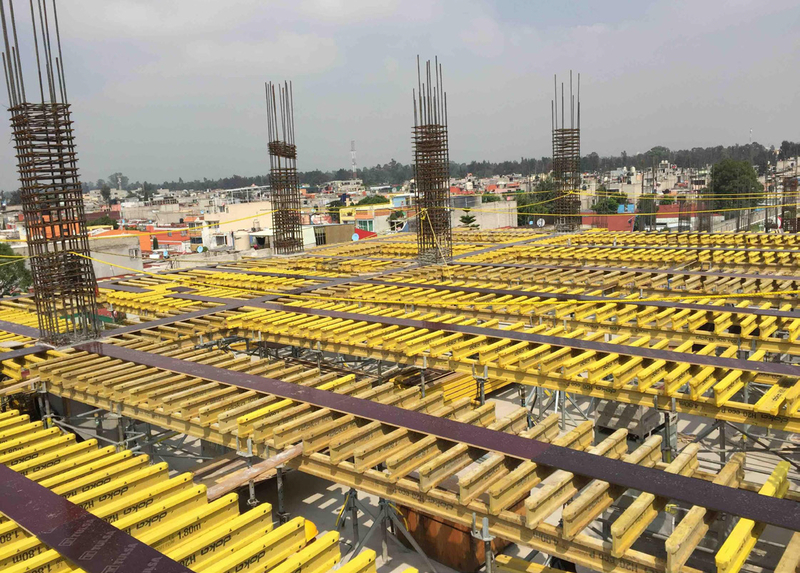 The Flex-table Formwork System also impresses by its favorable material costs and is therefore an economical solution wherever the wage level is low. 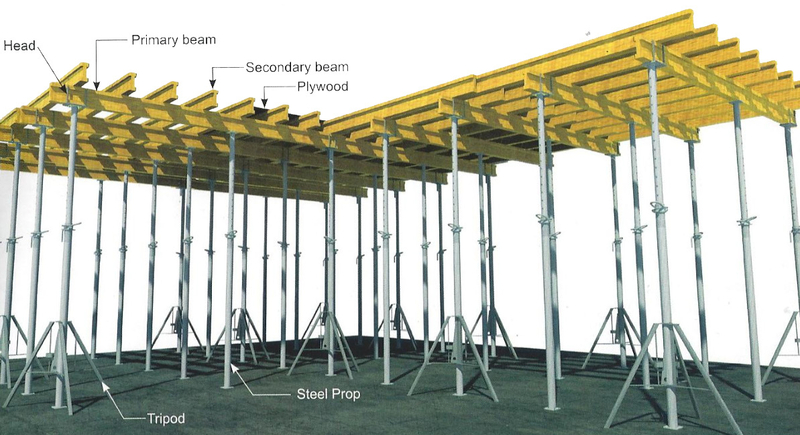 The most easy and Flex-table Formwork System for all types of slabs, consisting of steel props, tripod, four-way head, H20 timber beam and shuttering panel. It is mainly used for decking areas around lift shafts and stair cases, also for villa projects or manual handled slab formwork system with limited crane capacity. This system is fully crane independent. The H20 timber Beams due to its easy handling, low weight and excellent statically figures its high-grade bonding and protected beam ends with a plastic bumper assures a long duration of life.